The Santa Clara Valley covers 450 square miles that run southeast from the San Francisco Bay between the Santa Cruz Mountains to the west and the Diablo Range to the east. 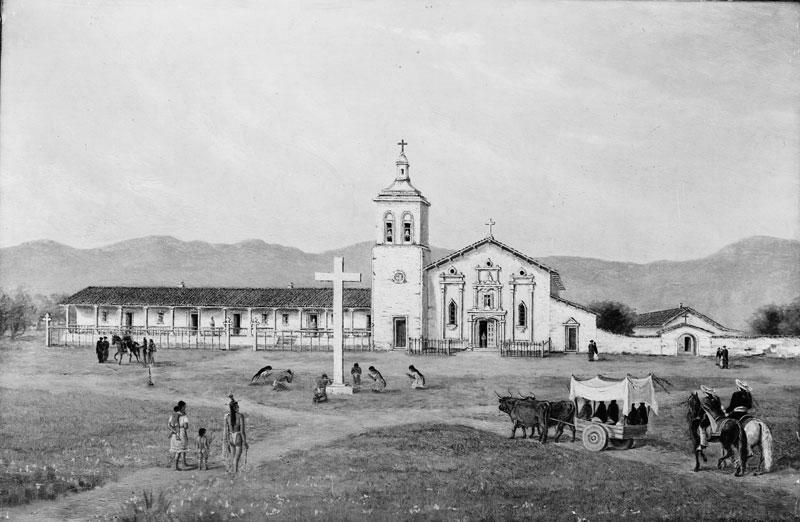 It was given its name by Father Junipero Serra, a Spanish missionary who arrived in 1777 to establish the Mission Santa Clara de Assisi. The mission was destroyed several times, but was always rebuilt, and it still stands on the campus of Santa Clara University. Until the middle of the twentieth century, the valley was largely rural and agricultural, a region of orchards, vineyards, and light industry—canning, bottling, and transport operations. 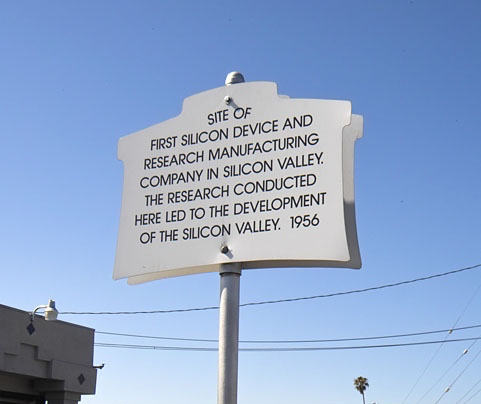 After World War II, high tech firms in electronics, computing, and aeronautics began to populate the northern portion of the valley, in the vicinity of Stanford University. Today, the region is better known as Silicon Valley. In 1885, Railroad tycoon and politician Leland Stanford and his wife, Jane, drew up plans for a co-educational, non-denominational university to be built in Palo Alto, California. They intended the institution to honor their son, Leland Stanford, Jr., who had died suddenly the previous year at the age of fifteen,of typhoid fever contracted in Florence, Italy. Leland Stanford, Jr. University opened its doors in 1891. It eventually became one of the leading universities of the American West, and a center of innovative research and development activity. Technologies invented on the Palo Alto campus have driven the growth of Silicon Valley since the 1940s. Leland Stanford with wife, Jane, and son, Leland Jr. The "Father of Silicon Valley"
In 1925, having earned a doctorate in engineering at MIT under the tutelage of Vannevar Bush, who later became the nation's first presidential advisor on science policy, twenty-five-year-old Frederick Terman joined Stanford University to teach electrical engineering. Later, as a university dean and provost, he encouraged students to start businesses in California. They did, and Terman built an administrative and material infrastructure to promote and support technology transfers from the university to the private sector. By the time his academic career drew to a close, Terman was known as the "Father of Silicon Valley." A culture of entrepreneurship has flourished around Stanford for decades, thanks in large measure to Terman’s vision for the school and the region. In 1937, in the garage of a duplex at 367 Addison Avenue in Palo Alto, two of Frederick Terman’s students, William Hewlett and David Packard, formed a partnership and began manufacturing an audio-oscillator, an instrument that generates pure tones at specified frequencies. Hewlett had designed the machine at Stanford, for his PhD thesis in engineering. As a tool for measuring audio frequencies, it was useful in the production and maintenance of radios, telephones, and other audio devices. Walt Disney purchased one of the first of devices built in the garage, and used it in the production of the classic animated film, Fantasia. In 1939, the partners formally incorporated the Hewlett-Packard Company, which went on to become an astonishing commercial success, a household name in American business and consumer culture, and an anchor for the development of high technologies in Silicon Valley. 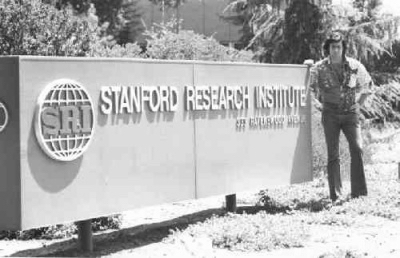 "The Birthplace of Silicon Valley"
The Stanford Research Institute (SRI) was founded in 1946 by the trustees of Stanford University as a non-profit contract research organization with a mission to provide technical support for regional economic development. The organization established research capabilities in chemicals, energy, electronics, mechanical engineering, and biomedical and pharmaceutical sciences. In 1970, after the Stanford faculty and student body protested SRI’s involvement in defense-related research, the institute formally separated from the university and incorporated as an independent non-profit entity. In 1948, electrical engineers and brothers Russell H. and Sigurd F. Varian founded Varian Associates in San Carlos, California, with physicists William Webster Hansen and Edward Ginzton. The founders had worked together at the Sperry Gyroscope Company, in a group that conducted research on vacuum tubes and electronic circuitry. Varian Associates’ first product was the klystron, an electronic tube capable of generating electromagnetic waves at microwave frequencies. The Varian brothers had invented the device and created the first working prototype in 1937. In 1953, the company relocated to Palo Alto to become the first tenant of the new Stanford Research Park. 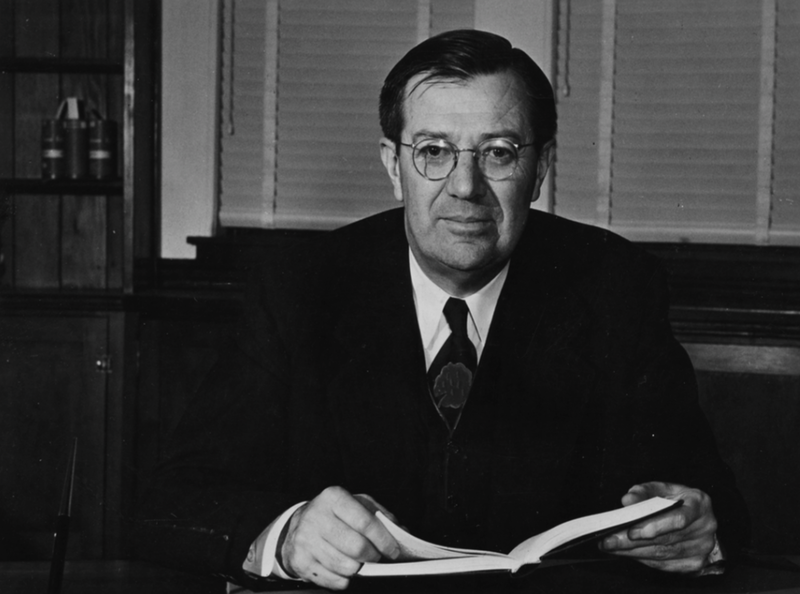 Frederick Terman, Dean of the School of Engineering at Stanford University, spearheaded the formation of the Stanford Research Park in the early 1950s. The development was located in Palo Alto, on 700 acres of university property stretching south from El Camino Real across Page Mill Road and Foothill Expressway to the intersection of Arastradero Road and Deer Creek Road. 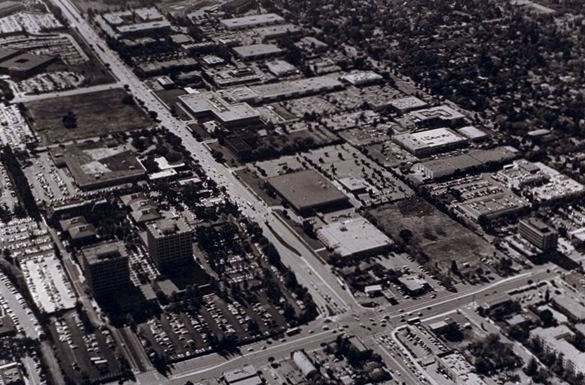 Terman promoted the park as “a center of high technology near a cooperative university.” Construction began in 1951. Varian Associates became the first tenant in 1953, followed shortly by Hewlett-Packard, General Electric, Eastman Kodak, and Lockheed. 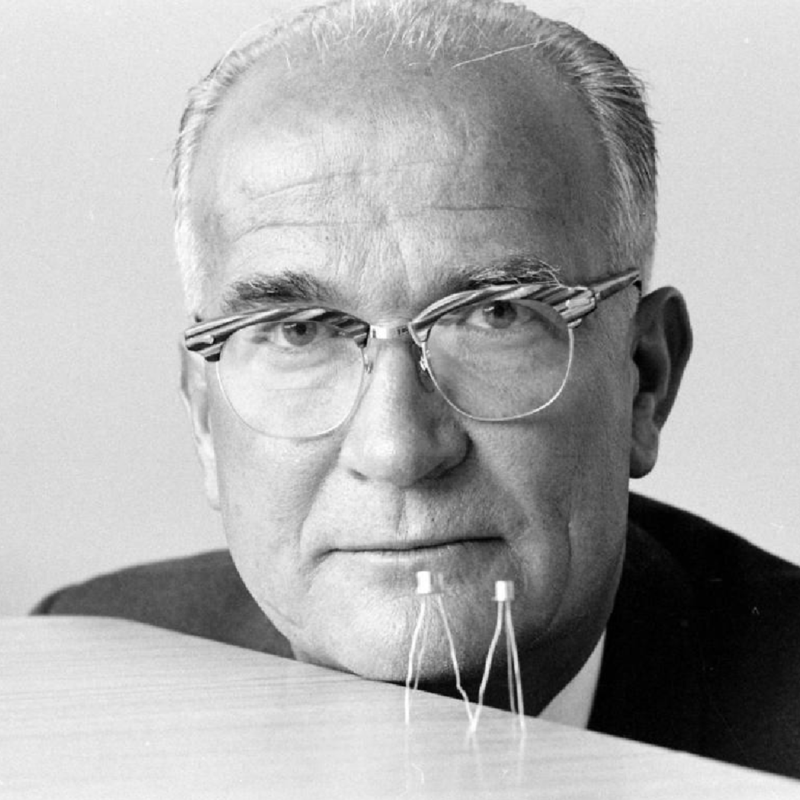 With financial help from industrialist Arnold Beckman, and at the behest of Frederick Terman, Stanford University’s Dean of Engineering, William Shockley left Bell Labs to establish the Shockley Semiconductor Laboratory in Mountain View, California. He intended to revolutionize the electronics industry by developing the next generation of solid-state transistors. He recruited a talented crew of young engineers, including Robert Noyce and Gordon Moore, who later started Intel, and Eugene Kleiner, who went on to become one of Silicon Valley’s most successful venture capitalists.